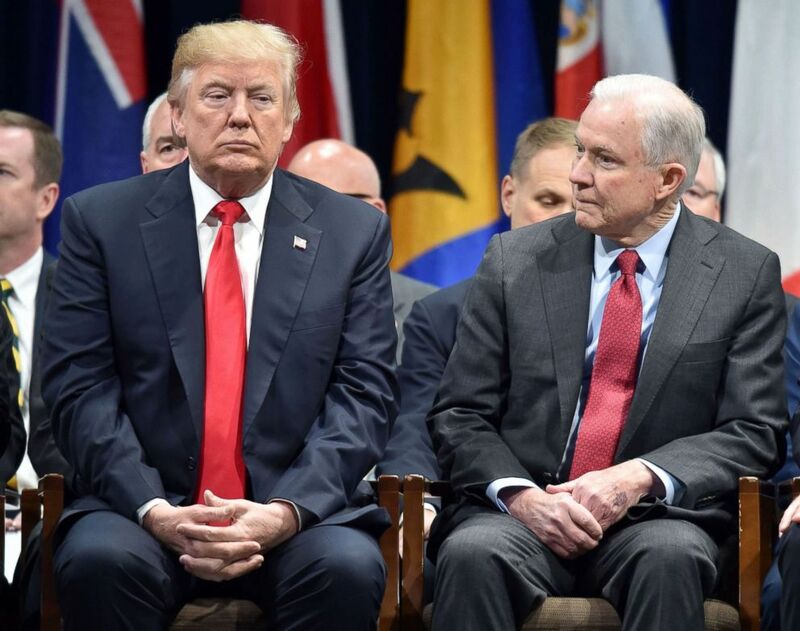 President Trump on Tuesday launched a fresh attack at Jeff Sessions, his beleaguered attorney general, saying in an interview that he "doesn't have an attorney general." Trump made the remark in an interview with The Hill. According to the news organization, the president repeatedly expressed his "disappointment" with Sessions for recusing himself from the Russia collusion investigation. Asked whether he'll fire Sessions, Trump replied, "We'll see what happens." "A lot of people have asked me to do that," he continued. "And I guess I study history, and I say I just want to leave things alone, but it was very unfair what he did." "I’m not happy at the border, I’m not happy with numerous things, not just this," he said. "I’m so sad over Jeff Sessions because he came to me. He was the first senator that endorsed me. And he wanted to be attorney general, and I didn’t see it." Trump also referred to Sessions as "mixed up and confused" in the interview and claimed that Sessions' former Senate colleagues were "not nice" to him. After the publication of the Hill's story, ABC News' Jonathan Karl asked the president what he meant when he said he doesn't have an attorney general. "We have an attorney general. I'm disappointed in the attorney general for numerous reasons and you understand that," Trump responded. The president's attacks on Sessions are well documented. "Two long running, Obama era, investigations of two very popular Republican Congressmen were brought to a well publicized charge, just ahead of the Mid-Terms, by the Jeff Sessions Justice Department. Two easy wins now in doubt because there is not enough time. Good job Jeff......" Trump said in a tweet.